This is a 9 mile loop that climbs 1, 893 feet in elevation. You will need snowshoes during winter months. Ease of access and an excellent view of the Sierra Crest makes this an ideal hike in the North Tahoe region. The 9.2 mile loop offers plenty of opportunities to scope out flora and fauna as well as you climb 1,893 feet to the scenic ridgeline that marks the highest point on this hike. Located right by the scenic Mt. Rose Wilderness area, Galena Creek Park offers a variety of gentle trails, restrooms, and picnic areas. The well maintained paths weave in and out of pines and along stunning vista points. 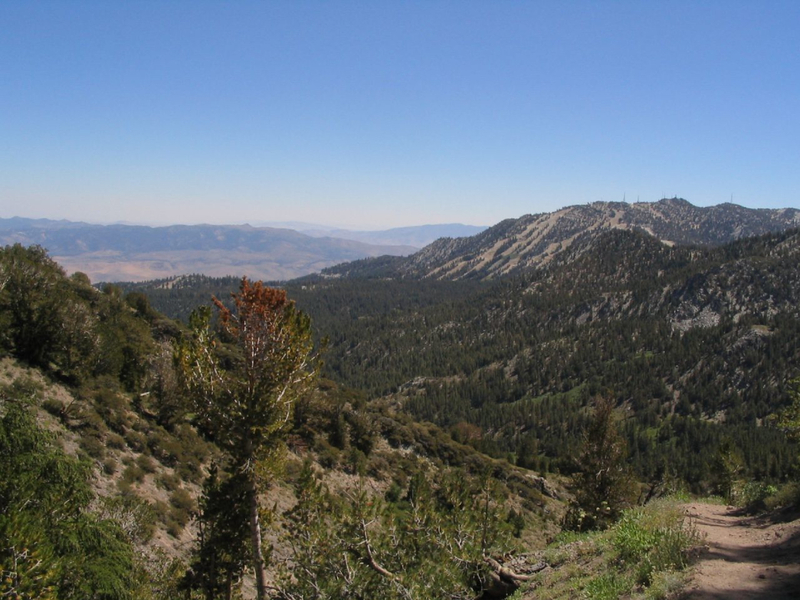 Expect lush green forest in the spring and a dry, warm Sierra hike during summer months. There is a charming creek that flows through the park and makes a great place to soothe tired feet after a long day hiking. There are a few options from the parking area, but the longest and most rewarding hike from the trailhead is the Jones-Whites Creek loop trail.The first half mile or so of this trek is on an old jeep road. Turn right at the junction after crossing Jones Creek to take the easier direction on this loop, or start left to give yourself more of a vertical challenge. If you begin to the right, you will steadily climb towards Mt. Rose wilderness and eventually reach a stunning view point at about 8000 feet. Continue on in the direction you came to complete the loop. Everyone from casual hikers to serious climbers will find something to love about this hike. Hikers conditioned to climb for about 3-4 hours and then descend will find it right up their alley. It’s a great intermediate trek. From Highway 395, take State Route 431 (Mt. Rose Highway) west towards Lake Tahoe. The entrance to Galena Creek Park is about 7 miles from the junction of 395 and 431. The park's entrance will be on the west side of the highway.